The first writing assignment of the year: write a perfect paragraph. It’s almost the end of the first quarter, and I am deep into that never ending cycle: teach, assign, give feedback, reassess. The minute my Google Drive is clear from one assignment, one or two are waiting for feedback. This totally sounds whiney. I know it does. I don’t mean for it be that way, but right now there are two assignments waiting for a first round of feedback and a trickling of a assignments that my students are resubmitting after further revision. So yeah, it’s a little whiney, but I do realize it’s one of the best ways create a real learning environment. Providing focused feedback and allowing students the opportunity to try again can sometimes lead to something magical: learning… because they want to. That second part is amazing. When I stopped putting a grade on the first draft of a piece of writing, I noticed that my students actually put more effort into revising and editing. The second time I review the assignment I do give them a grade, but they still have an opportunity to revise again. Some do; some don’t. Those who revise again are focused on the improvement. They are learning. AMAZING. Little by little, more and more students go back again. The next time they write, it’s better the first time around. It doesn’t require as much feedback in certain areas as it did before. My point is this. Yes, I’m overwhelmed at the beginning of the year. Yes, there are tons of pieces waiting for my feedback. Yes, the kids ask me (daily) if I’ve had a chance to look at their writing — again. But, in the long run, it’s totally worth it. Don’t forget, focused feedback happens in a variety of ways. Sometimes, I’m walking around while students draft or revise and pointing out some areas to improve. Sometimes students ask me questions while they are drafting, and I provide feedback. 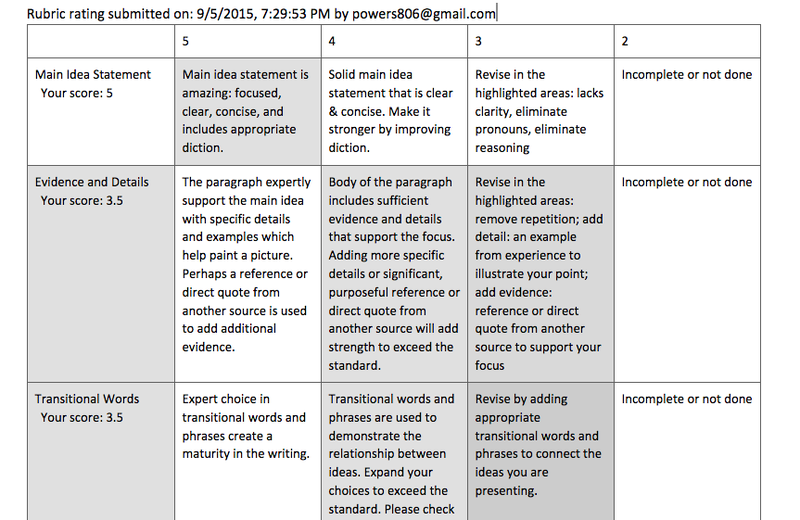 Sometimes I use the rubric system I discuss here. Also, I don’t personally use a feedback only rubric and a numeric rubric on every assignment. When I am focusing on a new writing or literary analysis skill, I do. After students have been working on the same focus for a while, I utilize peer feedback, and then students revise and edit based on their peer’s commentary. Then, I use the numeric rubric. I always allow students to complete further revision one more time as an option. I do not provide class time for the optional revision; students must complete it at home, or they can come use the class laptops early in the morning before school begins. There is also a time limit on the optional revision. Like I said before, some do and some don’t. Below is a video tutorial related to giving feedback. Obviously, I’m a Google-girl, so I use online tools to give feedback. This video starts with creating rubrics to use with Doctopus/Goobric. The second half of the video provides a quick review of a complete cycle of feedback: first draft, feedback only, graded feedback, and a resubmission. Last year I discovered an amazing Google App: Doctopus. I had already been using Google in my classroom for about five years. Generally speaking, students would create a Google Doc and share it with me so that I could review it and provide feedback. It was slightly more complicated if I had a template I wanted them to use for the assignment. The goal was to be paperless. And I was practically paperless, but it was not smooth sailing. Here was a pretty major issue: My students controlled their documents. If they didn’t share the document with me, it was like they didn’t turn it in at all. Then a friend suggested Doctopus. With Doctopus, I am able organize my classes, create folders for each student, and distribute assignments to my students in a variety of formats. 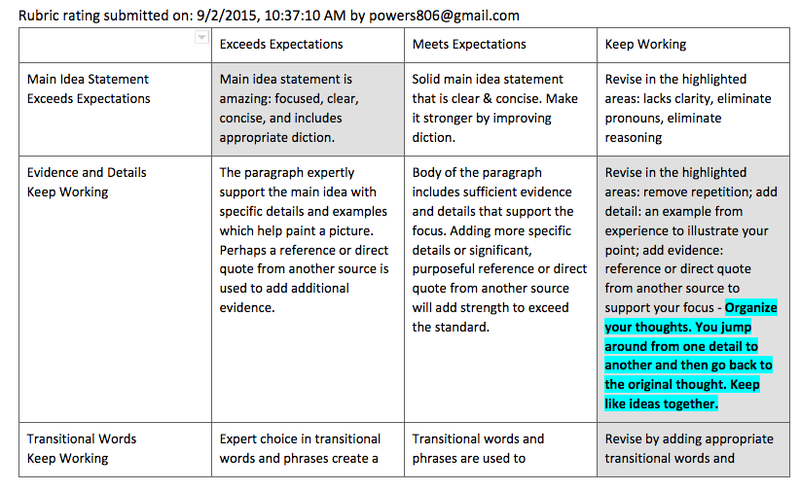 I could even attach a rubric and provide feedback pretty easily and quickly. Best of all, I controlled the documents. Students did not have to remember to share it with me or even put their names in the document. So, I want to share the love with other teachers seeking a way to be paperless and in control. Over the summer, I was able to run a workshop for my county, but I know it’s easy to forget what you learned in June by September if it’s not but into practice. In addition to following this link for some How To Slides, I’m also starting to post some video tutorials on my YouTube channel. Next up: Using Goobric for feedback and assessment. Over the years I have learned that a smooth school year partially depends on keeping parents in the loop. In the era of helicopter parenting, they want to know what is going on. Not having an easy way of communicating the day-to-day can equal much more work than is necessary for teachers. My solution is Google (as it always is)! I started slowly by using Google to post assignments on Google calendar which I shared with students and parents, and I used Gmail to communicate with parents as much as I could. Then, I expanded into Google sites; now, the entire Google suite is in my repertoire. Because so many parents want to know what is happening every day and middle-schoolers are apt to grunt “nothing” when asked the parental question, “What did you do in school today?” I like to establish ways for parents to get the information the same way their kids will get it. For my classroom, students can refresh their memory of what happened in class that day by checking my website which has the class calendar embedded and any necessary documents or notes we may have used. My classroom is also practically paperless, so I communicate through email a lot – I may send reminders, additions to a lesson, or documents. If I have parent contact information easily accessible, parents become another student in my class with just a click. Here is what has become my go-to procedure for starting the school year right and establishing contact with my students’ parents. I use Google Forms to create a simple form to gather the most essential information from parents. This form is embedded right into my Google Site which makes it easy to get to and submit. (This isn’t the only way to send the form.) Once parents complete the form, their responses are automatically dropped into a Google Sheet (spreadsheet). From here, I can do several things. I can use the form as my main point of reference for all contact information. I can download then import the contact information right into my Gmail contacts to create a group for parent contact. I can use the Save as doc app in Sheets to create a document with each parent’s responses on a separate page. This can be printed and stored in a binder in my classroom or just saved in my Drive as another way to view the information. *I also include the contract for my school’s summer reading so that this information is easily collected right away and doesn’t require another paper to go home. Thanks, Ann V for giving me this amazing idea! Personally, I like to import all the contact information and break my parent contacts into two groups in my Gmail. One group has all the contacts who want to be bcc’d on communications and the other group is for those parents who do not care to be inundated by my emails (no offense taken). The sheet is also an easy way to quickly look up a parent’s information. Remember, you can access a sample Parent Contact form by using the link above – just make sure to create a copy that you can edit for your own use. You can also start from scratch by creating a Google Form on your own. Here is link to a Google Slides presentation created by my great friend, Phyllis Zuri: How to Create a Google Form. I also collect student information the same way. More on that in another post. Have you ever been waiting and waiting for news? 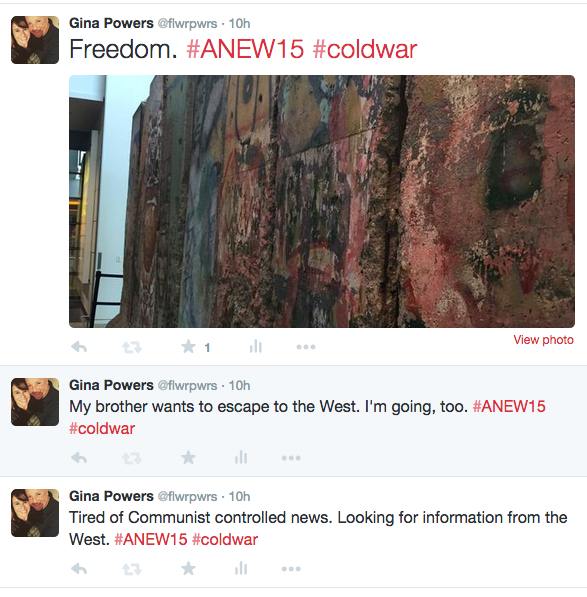 In May, I was (im)patiently waiting to hear if I had been accepted into the Newseum‘s Summer Teacher Institute. Getting the email that I had been accepted made the end of the school year fly by, and then slow down to a snail’s pace (if that makes any sense at all). Today was day 1 and what a day it was! Just a few days ago, I wrote about being in a Summer Slump, but that plunge into perpetual procrastination is long gone. There is something special about being in a room with 20+ other educators who seem to be my kindred spirits. Getting ready to start our experience. We all seem to love technology and aim to properly educating our 21st-century classrooms through blended learning. We all seem to embrace analysis and critical thinking, and kick that test-prep stuff to the curb. (I mean, really, if the kids learn how to think, they will do well on “that” test. More importantly, they may end up enjoying learning and school!) We all seem to want our classrooms to create a buzz, have energy, be engaging, and show a love for life-long learning. Just being immersed in that atmosphere is inspiration enough. If you add in all the amazing resources that the Newseum and Annenberg Learner has to offer, well… I think you get the picture. Towards the end of the day, we broke up into groups to refresh some current lesson plans. I collaborated with a group of other middle/high school English/Language Arts teachers. 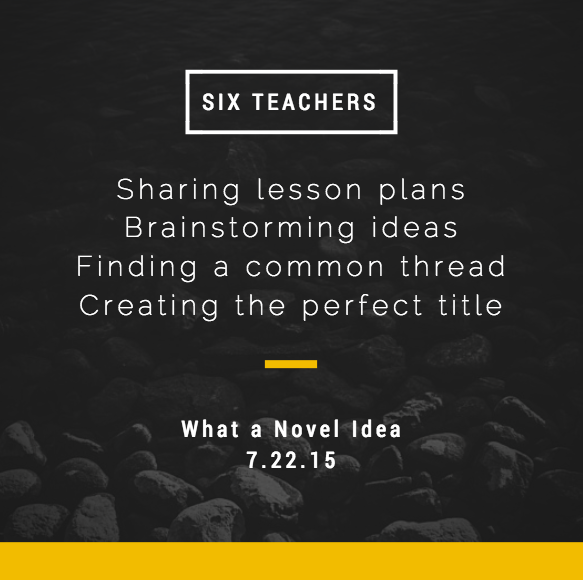 We all had lesson ideas centering around literature in some form of another. After some discussion, we came up with a more generalized plan that could be used at any level with any novel, but it would ultimately end up putting a novel into historical context for students. Better than that, through using digital resources, the students ultimately would reveal a driving question to discuss as we read the novel together. Discovered: A fresh approach to introducing The Book Thief. Not that I would ever get tired of reading this novel, but imagine having a new focus each year based on what students discover in their research? The focus can even vary from class to class each year. I am pumped! 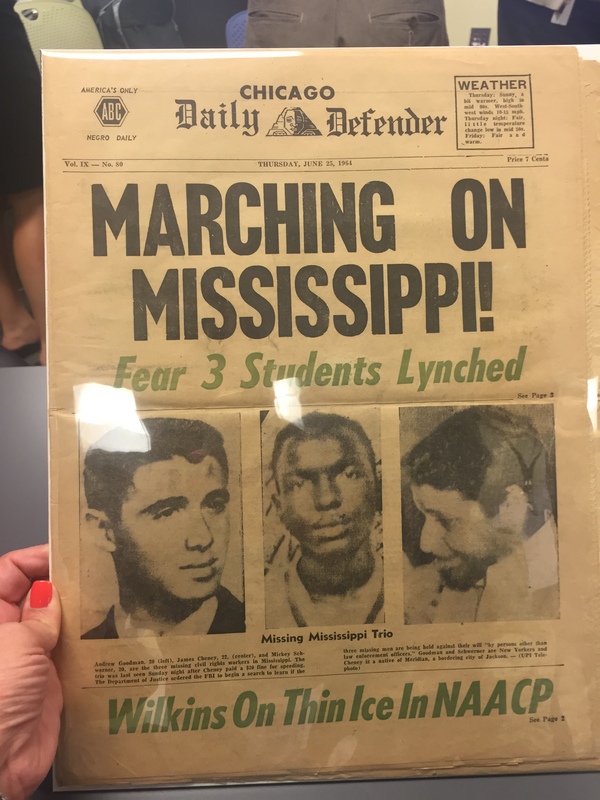 After some discussion and practice concentrating on evaluating media, we had the special treat of viewing some front pages and other artifacts revolving around civil rights are various points in history. From there, we collaborated in small groups to analyze potential issues with what was featured. Question: Without access to artifacts like these, how can this work in my classroom? 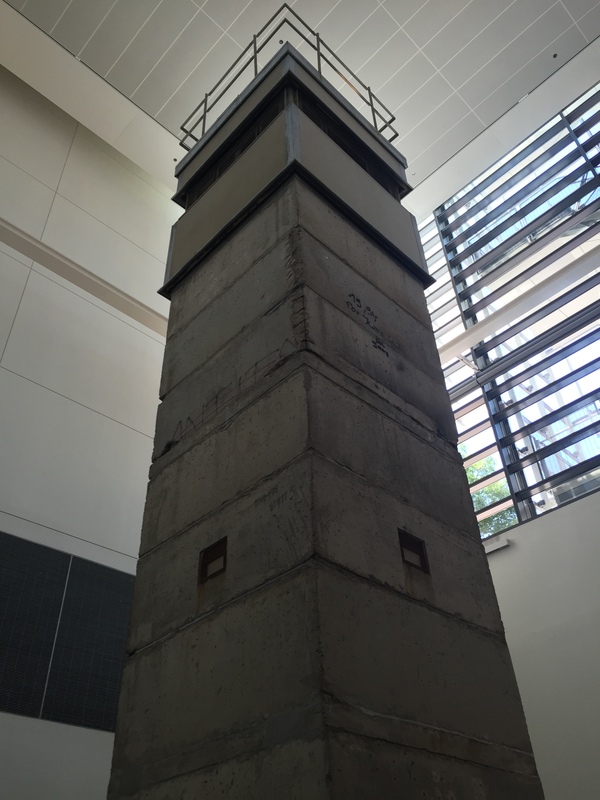 The Berlin Wall exhibit is incredible. (If you haven’t been, you must GO.) Tweeting from the perspective of a person living in East Berlin at the time made it even more real. While I’m sure I would have been engaged in the exhibit without this assignment, it did make me consider a perspective and analyze the circumstances a bit deeper. Inspiration: During this year’s Boston field trip, engage students in Tweeting and/or posting their experiences on Instagram. Give them a challenge to analyze from different perspectives. Let them use the technology and social media they love to connect with their friends and family following the trip from home. Why not take advantage of what they already do? Why not show them how Tweeting and Instagram(ing) can be used for other purposes? Bottom line, today was filled with exactly what professional development should be: real-life,do-able applications, meaningful discussion, live Tweeting, full engagement, and collaboration. Ah, summer, when procrastination hits… hard. Sprinkle in the unexpected life moments, and it’s easy to end up right where I am now… feeling overwhelmed and unaccomplished. It’s summer! I’m supposed to be rejuvenating and getting refreshed for the upcoming school year. 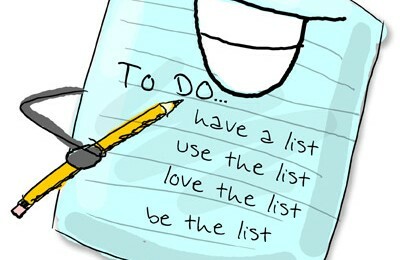 What have I checked off those lists? So far this summer, I have read parts of those two books that I swore I would be finished reading by July 4th, and I am just starting my blog which I was going to have published even earlier. I’ve dabbled in a few of the other items on my ever-growing list, but nothing is complete. 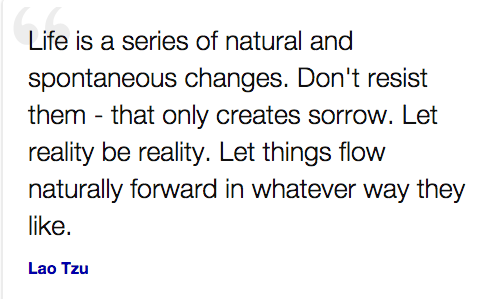 Instead of sitting static, I’m going to roll with the changes, not dwell on “I should have…” and just move forward. Plus, deadlines do a funny thing to me; they give me energy. 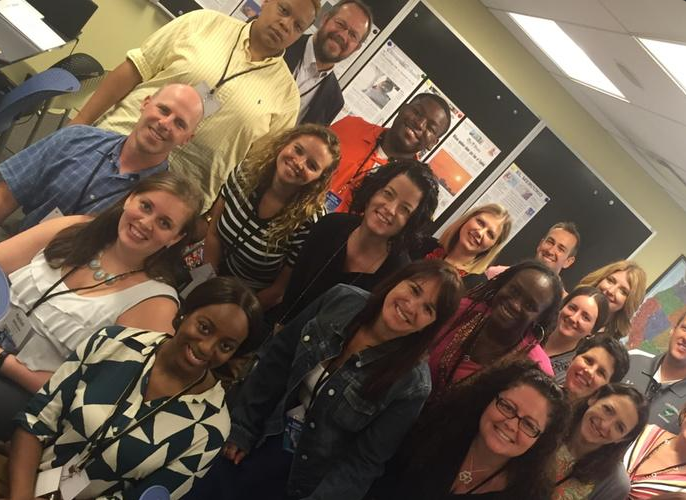 Tomorrow, I head to DC for the Newseum’s Teacher Summer Institute which has me totally excited, so I know that will increase my motivation even more. Embracing the summer slump surely provided me with something I needed, but now I’m officially kicking it out of my life! ELA teacher of the gifted; NBCT; student and educator; lover of words, writing, books, and technology; passionate about creating a buzz through inspiration and learning; mom of three amazing kids with an incredible husband; conquering life's challenges with a smile.